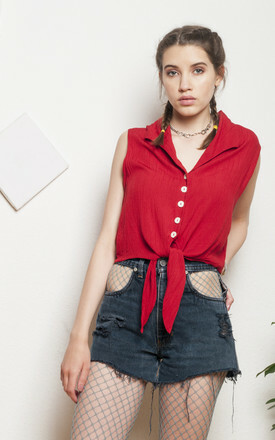 Tie front crop blouse straight from those ever-shining 90s. Flawless condition. Natural, creased viscose fabric & button closure. Save this true beauty from decay!